Karan Johar several times has said that his life on social media is really brutal and he always wakes up with several abusive trolls on social media. He recently got trolled over liking a tweet that was actually abusing Shah Rukh Khan for Zero and praising Akshay Kumar for Kesari. As soon Karan Johar liked the tweet, the fans of King Khan started abusing Karan Johar for being supportive to abuse. The fans even called him fake over his friendship with Shah Rukh Khan. Although, Karan made it clear by tweeting that it was not him and it actually happened with technical issues. Karan Johar tweeted, "Guys having a technical problem with my twitter account! Strange things are going on!from uploading shoe picture and gibberish to liking tweets I haven’t even read and would NEVER even acknowledge! Please bear with me and I apologise for any inconvenience! Sorting it out asap!" Even after that fans were not stopping to abuse the filmmaker and they were saying that he was only saying lie to save himself from this activity. Although made it clear but fans were not ready to do that. Then the man himself, Shah Rukh Khan has to come on social media to save his friend Karan Johar from the trolls and tweeted in a funny way, "I hate clarifications on SM. @karanjohar is technologically challenged but has other good qualities like his taste in clothes! ?Just like Life, twitter doesn’t come with instructions, so mistakes r natural....& also he has fat fingers. 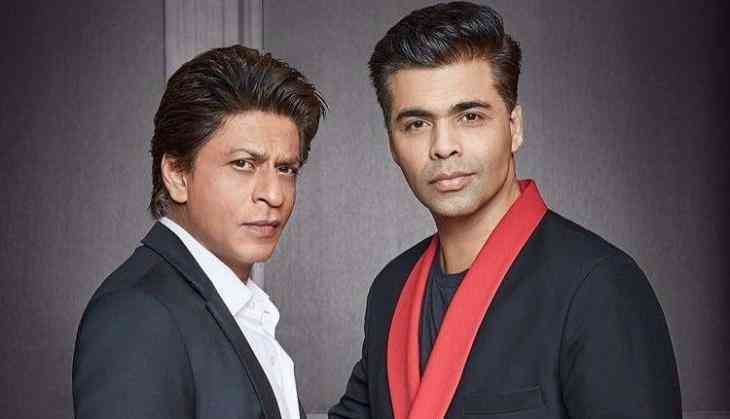 Go easy all, Make Lov not War...it’s more fun"
Let us tell you that Karan Johar and Shah Rukh Khan are very old friends and they have worked together in several films. Even Karan Johar always has called Shah Rukh Khan as his elder brother to that also Shah Rukh helps Karan all the time.